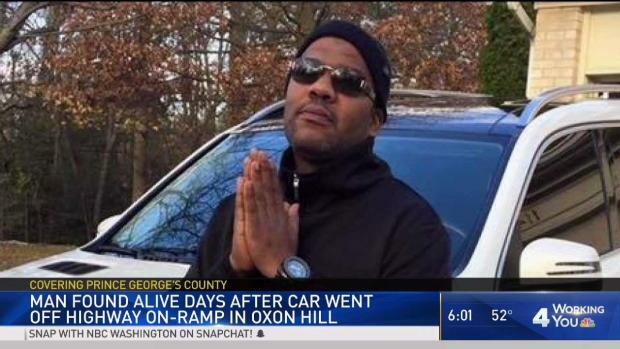 Thrown out of his SUV during a crash, Greg Eubanks spent two days in a ditch near the Beltway. He said he saw buzzards and snakes, and drank rainwater to survive. 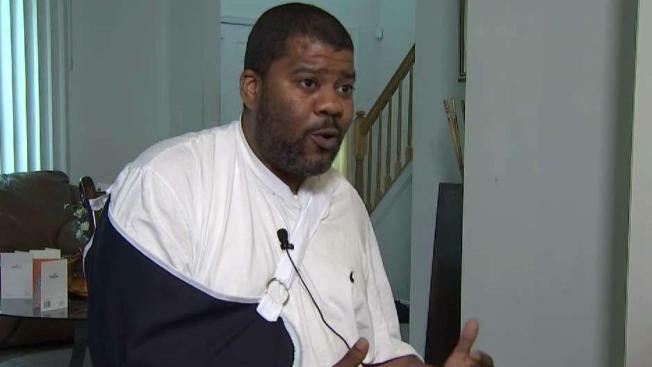 The 40-year-old told News4 what went through his head as he waited for help to arrive. Alone and injured in the woods, Greg Eubanks saw snakes and buzzards around him. For two days, he drank rainwater to survive. 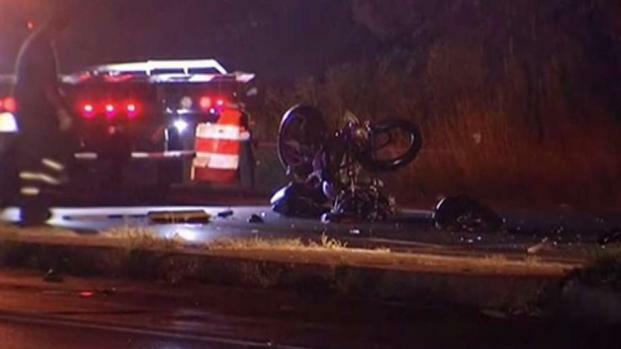 Earlier this month, Eubanks crashed his SUV near the Capital Beltway in Maryland. Thrown from the vehicle, he spent two days in a ditch before someone saw his SUV and then found him. On Wednesday, he told News4 about the ordeal. "I definitely kept faith and kept talking to myself, telling myself constantly, 'Greg, you've gotta get out of this. Greg, you've got to beat this.' Constantly, constantly. The whole time I was down there," he said, his right arm in a sling. A man crashed his van into a wooded area off Indian Head Highway and survived in a ditch for two days. News4's Pat Collins tells what he did to survive and how he finally was found. Eubanks went out for food on Friday, April 13. Then he disappeared. His family called his phone over and over, but it went straight to voicemail. They searched for his van. They filed a missing persons report. But there was still no sign of him. Eubanks was outside, as temperatures soared to the mid-80s and then heavy rains drenched the area. The 40-year-old had crashed his SUV down an embankment on Indian Head Highway (Route 210) near the Beltway. The force of the crash launched him through the sunroof on his white Mercedes. He landed about 400 feet from the vehicle, he said. He broke bones in his back and shoulders and could barely crawl. Birds circled around him. "There were buzzards starting to fly around above me, as if to prey on me, waiting for me to die," he said. Terrified of snakes, he saw those too. 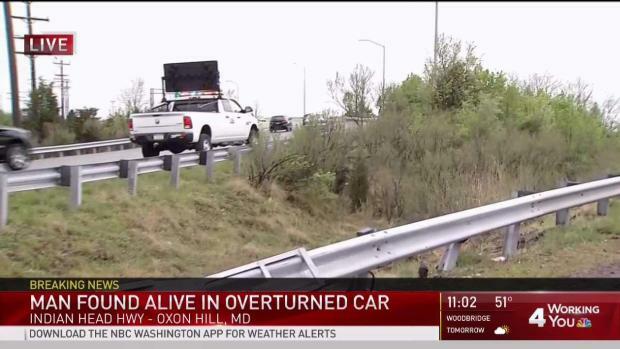 A crash victim was found alive Monday morning after spending two days in a ditch after his van crashed near an exit ramp in Prince George's County. "I started to take the water and just drink it because there was nothing else. I felt my body just dehydrated, starting to fall apart," he said. He began to get desperate. "There was a time when I thought I might die, because I felt like no one would know where I was at," he said. Eubanks tried to cry out, but no one could hear him over the noise from the road. "I started to yell, 'Help! Help!' And I heard no one in response," he said. His family searched for him but turned up nothing. Five people have been killed on Indian Head Highway in Prince George's County this year; the most recent death happened Wednesday. That's why traffic enforcers call Indian Head Highway, also known as Maryland Route 210, the most dangerous road in the Washington metro area. Now, police are cracking down on aggressive drivers, drunk drivers and speeders. News4's Tracee Wilkins reports. Finally, before 8 a.m. Monday, April 16, Maryland highway workers spotted the Mercedes. They saw Eubanks, and he was rushed to a hospital in stable condition. He spent four days in the hospital and was recovering at home on Wednesday. "I just feel like it wasn't my time, and I feel like God was just watching over me, letting me know that I still have a purpose here," he said. Police previously said they were investigating the cause of the crash. A GoFundMe page has been set up to help Eubanks cover medical bills.